This Saturday, Florida-based pastor Terry Jones had planned to lead his congregation in a Koran burning, celebrating what they call “International Burn a Koran Day.” Although everyone from the Pope to Hillary Clinton has urged him to halt his plans, it seems that only a sign from God can keep him from following through. And I can’t decide if Terry is short-sighted or brilliant. This Saturday, Florida-based pastor Terry Jones had planned to lead his congregation in a Koran burning, celebrating what they call “International Burn a Koran Day.” Although everyone from the Pope to Hillary Clinton has urged him to halt his plans, it seems that only a sign from God can keep him from following through. I can’t decide if Terry is short-sighted or brilliant, if he lacks all ability to skillfully manage conflict or if he is, intentionally or accidentally, leading us to peace. 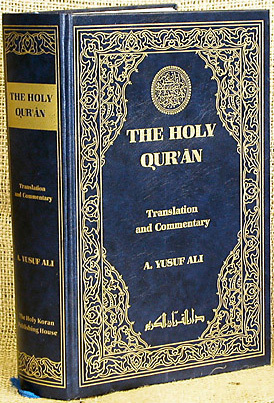 Let us first review the folly of his Koran burning plan, drawing from history’s most brilliant masters of conflict. My survey shows that Terry’s demonstration breaks five fundamental laws governing how to win. 1. Violence is an inferior strategy: one of Sun Tzu’s most important statements is “the highest realization of warfare is to attack the enemy’s plans; next is to attack their alliances; next to attack their army; and the lowest is to attack their fortified cities.” Niccolo Machiavelli wrote, “Arms are permissible when there is no hope except in arms.” Here we have two of history’s most well-known individuals saying great strategy solves conflict without violence. Now while burning Korans is not physically violent, it is morally vehement and, as we will see in a moment, grossly misdirected. 2. Make means consistent with ends: we love to read stories about bloody clashes of civilization–the French and U.S. Revolutions, for example. But the violent ones rarely sustain their victories. The Irish Republican Army, Palestine Liberation Army, Basque ETA, and Sri Lankan Tamil Tigers all ultimately struggled against the popular resistance their violent means engendered. In contrast, consider non-violent “wars” like the liberation of India, the end of apartheid in South Africa, the removal of dictators in the Philippines and Chile, or the democracy movement in Poland. All resulted in sustainable victories. As Gandhi pointed out, “The means must be consistent with the ends.” History tells us that burning Korans, even if successful in some way, will eventually lead to an unsustainable world filled with burning Korans, Bibles, and Torahs. 3. Create no competition: Sun Tzu wrote that “to win one hundred victories in one hundred battles is not the acme of skill. To subdue the enemy without fighting is the acme of skill.” The best strategies preempt competition. By this measure, the burning of Korans is a step backward. It achieves no meaningful gain while it can only excite competition. What the burning of Koran does is draw a challenge in the sand; it creates an “us vs. you” dynamic that Gandhi saw as critical to undo: “We reaffirm our unity with others when we transform ‘us’ versus ‘them’ thinking and doing.” At the heart of the Koran-burnings folly is that it achieves no gain yet activates conflicting identities–Christian vs. Islam–that will naturally trigger conflict. 5. Never come down to your enemy: if your enemy is good with a sword, it would be foolish to pick up a sword against them. Instead, you should wield a weapon with which they are less familiar. If you fight like your enemy, you become your enemy. By turning to burning Korans, Terry sinks to the extremists’ level and breaks this important strategic law. While Machiavelli paints a foreboding hue on Terry’s Koran-burning strategy (“There is no surer sign of decay in a country than to see the rites of religion held in contempt”), my rosy lenses cannot help but reach for a positive outcome from this situation. For the first time Hillary Clinton and Sarah Palin have something to agree on. Sarah joins Hillary in urging Terry to hold back, warning, “It will feed the fire of caustic rhetoric and appear as nothing more than mean-spirited religious intolerance. Don’t feed that fire.” Reverend Billy Graham’s son has been calling Terry asking him to stop. Republican conservative Haley Barbour says of the incident, “I don’t think there is any excuse for it.” Gen. David Petraeus, Angelina Jolie, and even the Pope have all weighed in on the same side. Could this be Terry’s real plan? To unify the U.S. behind our highest ideals? Whether intentional or not, if Terry follows through, let us all hope that he and his 50-member congregation will set up a global shift that will result positive momentum for all of us. What would it mean to attack your enemy’s plans or alliances, rather than attacking your adversary? Are your means consistent with your desired ends? Is your strategy activating unnecessary competition? How can you isolate your competitors from their sources of support? What is your competition’s preferred form of battle and how can you avoid playing their game?